Savings is the key for building your financial future. Whether it is purchase of real estate, your retirement planning, your family's future needs, favorite vacations or simply attaining your personal goals and getting the things you want -- all starts with Savings. Saving does not mean that you get a cut on everything you buy or spend less on necessary items, but keeping aside a certain amount after meeting your necessary expenditure. 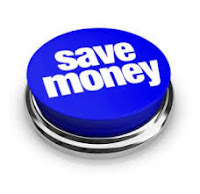 Savings can be done by reducing and cutting cost on certain things or activities which apparently look necessary but actually are items money less spent on. The basic reason you're saving in the first place should be pre-decided plan. The most essential part of any plan is your emergency fund. That's money you can use easily in an emergency. The general agreement on an emergency fund equal three to six months' worth of expenses keeping in view your household spending and deciding how much you'll need to stay afloat if anything untoward happens. Once you've established your emergency fund, look at paying off debts like high cost Home Loans as the first form of real savings. It's not as exciting as a savings you can watch grow, but being debt-free feels great -- especially since you're not draining your savings by way of paying interest.